Chris Hadfield, Canada’s very own orbiting troubadour performs live at Vintage Wings of Canada, June 18, 2016. Register today for this exclusive space-limited event! For more information, click here. 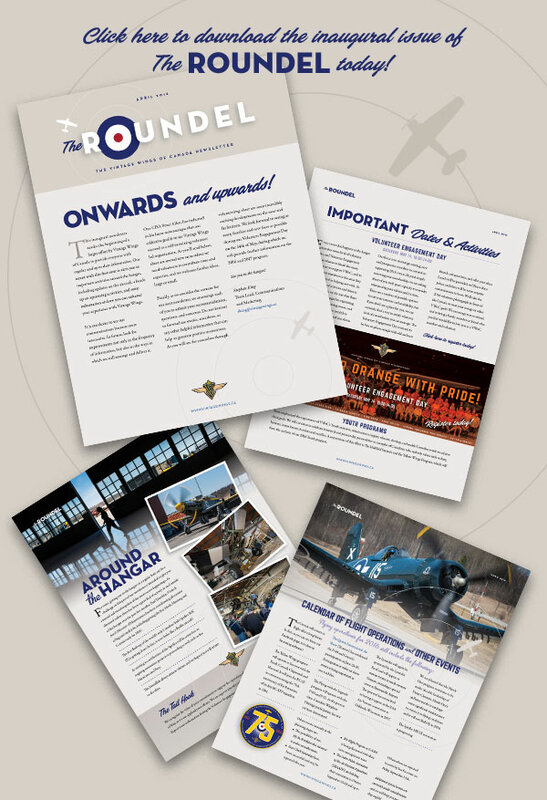 This inaugural edition of the Vintage Wings of Canada newsletter, ‘The Roundel’, marks the beginning of a larger effort by Vintage Wings to provide everyone with regular and up to date information. Our intent with this first issue is alert you to important activities around the hangar, including updates on the aircraft, a heads up on upcoming activities, and some information on how you can enhance your experience with us.